SACRAMENTO, Calif. (AP) — The U.S. Forest Service is set to round up 1,000 wild horses and says many of them could be sold to distant slaughterhouses. The roundup is set to begin Tuesday and last through the month. 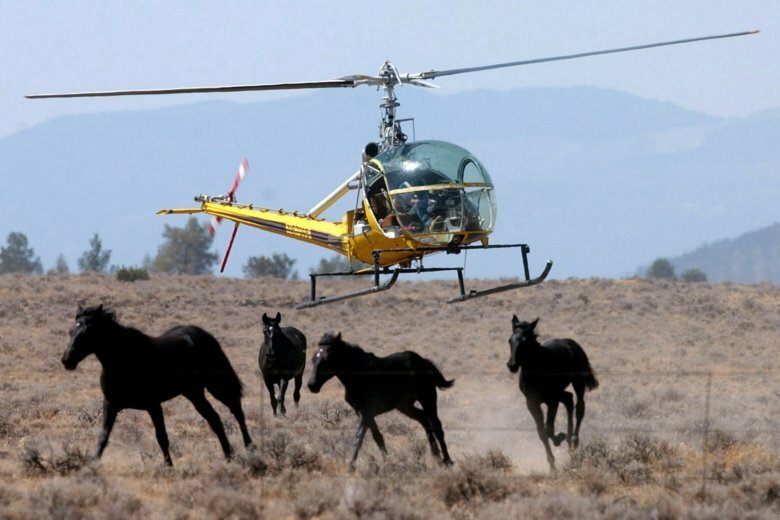 It will target horses from a herd in the Devil’s Garden Plateau Wild Horse Territory inside the Modoc National Forest, the Sacramento Bee reported . Modoc National Forest Supervisor Amanda McAdams said the area is supposed to have up to 400 horses but that the area has almost 4,000 animals. Those horses enjoy a range of more than 250,000 acres (101,170 hectares) within the national forest, which is about two and a half hours northeast of Redding. “It sounds like a lot of acres for 4,000 horses, but there’s not a lot of vegetation and not a lot of water,” McAdams said. The U.S. Department of the Interior oversees most of America’s wild horses and burros and prohibits selling them to slaughterhouses, but the Forest Service is underneath the U.S. Department of Agriculture, which has no such restriction. The American Wild Horse Campaign says the government is “exploiting a legal loophole” that will result in the slaughter of hundreds of animals. The horses will be made available for adoption but after a 30-day period all horses 10 years and older — an estimated 300 animals — will be made available for sale without limitations for $1 each, “allowing kill buyers to purchase a truckload of 36 horses once a week until they are gone,” the AWHC said. Forest Service spokesman Ken Sandusky said that while the policy is new, this is also the first “horse gather” on public lands in 13 years and that the Forest Service works with a variety of partners to adopt out as many wild horses as possible. “The other option is long-term holding, which makes unlimited sale the only fiscally responsible option,” Sandusky said.